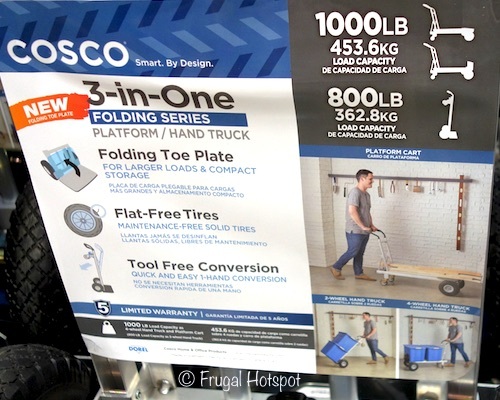 This converts to a 2-wheel upright, 4-wheel cart or platform cart with just one hand, giving you multiple options to move your stuff. 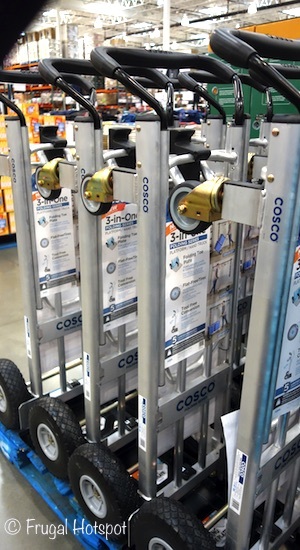 Select Costco locations have the Cosco 3-in-One Convertible Hand Truck on sale for $79.99 (after instant savings), now through February 24, 2019. That is $20 off Costco’s regular price of $99.99. While supplies last. Item #1274086. 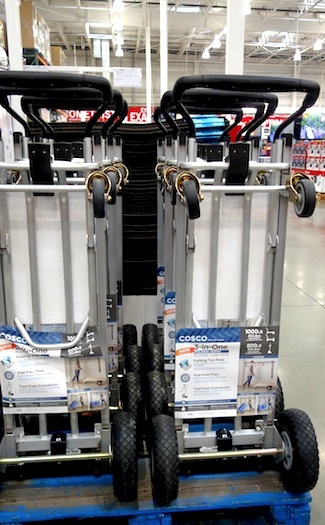 • The folding toe plate allows for larger loads and compact storage. • Tool-free conversion making it quick and easy with no pins or tools needed. • Made with lightweight commercial grade aluminum and durable steel construction that is strong and stable. • Looped handle provides maximum control making it easy to maneuver. Please use with caution. Price and participation may vary so it may not be available at your local Costco or it may not be on sale at your local Costco or it may be a different price at your local Costco. Prices & sales dates may change at any time without notice. Photos may not be a perfect representation of the product. 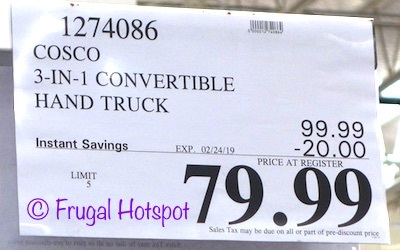 Prev Costco FEBRUARY 2019 Coupon Book: February 6, 2019 – March 3, 2019. Prices Listed.